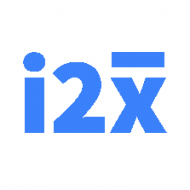 i2x optimizes customer conversations on the phone through artificial intelligence. The company-specific training for agents in sales and support roles helps to increase conversion rates and customer satisfaction, whilst increasing the agents’ compliance with scripts and reducing agent onboarding time. Using state-of-the-art technology in the field of machine learning and advanced voice recognition technologies, i2x' communication trainer automatically records and analyzes each call and adapts to the training needs of every agent. i2x gives managers a tool to utilize customer interaction data, whilst ensuring that the customers' needs are central to every call. i2x has already helped agents conquer their learning curves, improve crucial KPIs and have smarter conversations that make a real difference. Within the next few years, AI trainers for employees will be key to an organization's success - and i2x is creating one of the very first one.